Basement conversion may be one of the most popular forms of house extension. The reason is pretty obvious – when all of your surroundings are already covered, the only way to go is up or down, and there’s plenty of unused space down below that you can capitalise on. Sure, most of the time you need permits to do it, but a lot of the time getting such a permit is no big deal. But there’s a number of challenges you only face if you’re thinking of converting a basement in an older house. The majority of old homes are built on foundations made of stone or brick. Back in the day, little thought was given to waterproofing. Even if the older building in question has been constructed with waterproofing and drain systems, they have probably become damp over the many years of use, resulting in a lot of moisture that could prove disastrous in the long run. Any kind of basement conversion going on in an old house has to take specific precautions in order to keep the basement dry. Making sure the gutters and downspouts function properly is crucial. If any wood framing contacts masonry, the proper type of wood should be selected, one that is resistant to mould and mildew. Considering the antiquated foundations of the old house, it’s important to remember that there may be elements of them, located above the basement, that might need regular maintenance. That’s why, when building a basement extension in an old house, don’t forget about giving yourself access to areas that require it. Be careful while adding an extension so that you don’t accidentally cut access to important house facilities, such as valves, plumbing and electrical installations – things that require regular maintenance and more or less frequent repairs. While mould is one of the most common concerns when it comes to basements, it’s far from the only air quality concern. Radon is another factor you should look out for. Basement levels have a higher likelihood of being exposed to radon, but with the proper testing and mitigation, radon levels can be brought down to a tolerable level, leaving you with a basement that is no longer a threat to your health. 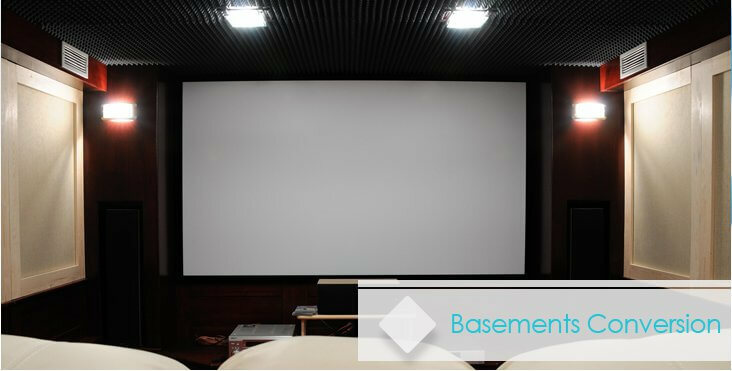 Additionally, old homes often come outfitted with old, outdated, and simple unsafe electrical installations, so make sure your basement conversion involves a brand new electrical network. Never handle it alone, however – make sure all electrical work is handled by an experience professional.